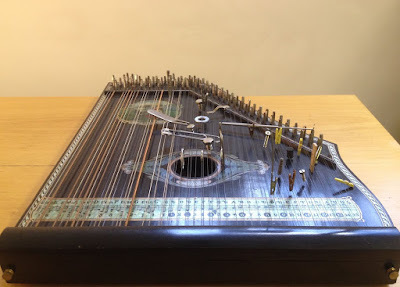 ...a quieter year performance-wise, but very busy writing and working on new music/songs for the planned two records i hope to release this year: one of my own material [vocals and weissenborn will be augmented by prepared zither, amongst other things! ], and one of harry partch's works for guitar and voice. hoping to make it to spain and portugal, and possibly south america during the course of 2016 though!